A last look at our harbour before the expansion begins! It's P.J. & Pillow night at KYC! Come join us at 6:30PM for our JS Movie Night. All you need are comfy clothes, comfy chair, and a pillow if you want! We are pleased that KYC sailors Danielle Boyd, Arielle Morgan and Ali ten Hove will join W/W for a fireside chat. We are very proud of these sailors and their accomplishments and look forward to hearing about their future endeavours. Members are welcome to bring a non-member to show off our Club so they can see it’s not just sailing they can take advantage of. Join us for yoga with Norah 4-5pm every Wednesday! If you can’t make yoga, join us for social time directly after yoga (5pm) throughout the winter for drinks, dinner etc. Gruits take inspiration from centuries-old brewing tradition: herbs, spices and other botanicals replace a dominant hop character. 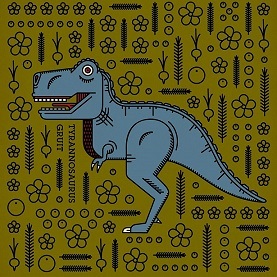 Tyrannosaurus Gruit is a red gruit ale made with Quebec-grown beets and hibiscus flowers. Organic juniper berries and locally foraged organic white spruce tips add in an enjoyable element of woodsiness and conifer resins. The Carménère grape is a wine grape variety originally planted in the Médoc region of Bordeaux, France, where it was used to produce deep red wines and occasionally used for blending purposes in the same manner as Petit Verdot. I thought this would be a fantastic follow up wine for those who participated in our French Wine Pairing. The Carménère is a member of the Cabernet family of grapes, the name "Carménère" originates from the French word for crimson (carmin) which refers to the brilliant crimson colour of the autumn foliage prior to leaf-fall. The grape is also known as Grande Vidure, a historic Bordeaux synonym, although current European Union regulations prohibit Chilean imports under this name into the European Union. Along with Cabernet Sauvignon, Cabernet Franc, Merlot, Malbec and Petit Verdot, Carménère is considered part of the original six red grapes of Bordeaux, France. Now rarely found in France, the world's largest area planted with this variety is in Chile in South America, with more than 8,800 hectares (2009) cultivated in the Central Valley. As such, Chile produces the vast majority of Carménère wines available today and as the Chilean wine industry grows, more experimentation is being carried out on Carménère's potential as a blending grape, especially with Cabernet Sauvignon. This Carménère from Concha Y Toro is part of their "Winemaker's Lot" was produced exclusively for the Canadian market, it is is loaded with warm earth, black cherry and fig with a notable campfire complexity. Characterfully dense and seriously structured with plush tannins and touches of spice. Great paired with our Steak or at home with ribs, or veal medallions. It is with sad hearts that we include this notice of the passing of Corey Lynam. Corey was Head Race Coach at KYC for several years in the 2000s and had a very positive impact on the program and its athletes. He can be directly credited for a lot of the success the program has today. KYC sends our deepest condolences to his wife Bri, their baby son Iver, and the rest of Corey's family and friends. On March 4, 2017, we lost a friend, a fellow sailor, a fine coach, a son, a great husband and father. 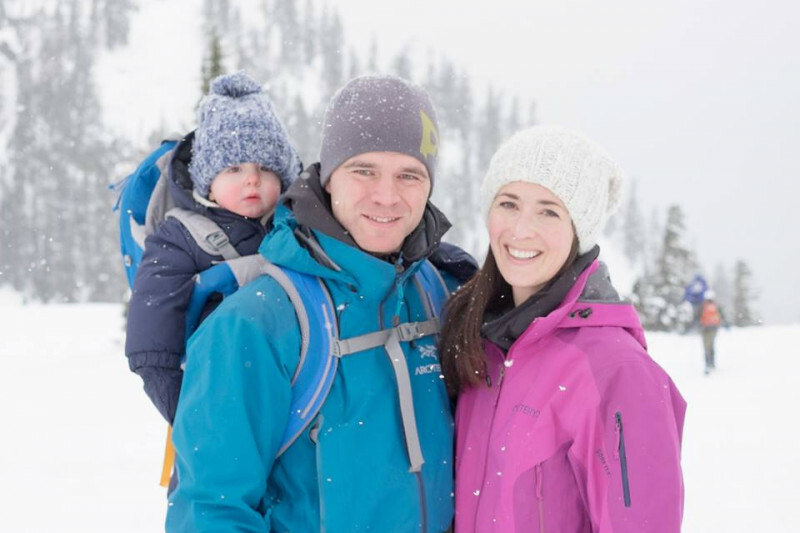 Corey Lynam, 33, was caught in an avalanche while skiing with friends in the Callaghan area, nearby Whistler. Ontario Sailing offers heartfelt condolences to Corey’s family and friends. 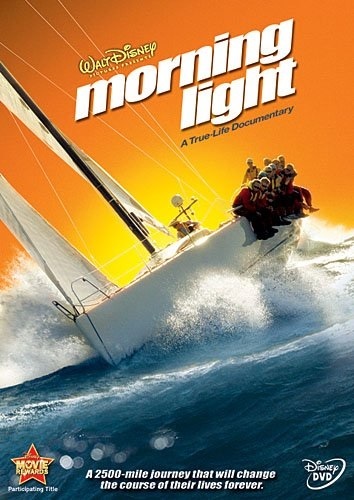 Corey Lynam was an accomplished sailor and coach. He raced at several CORK Regattas representing RHYC and RCYC Race Teams. He was a key member of the Queen’s University Sailing Team named MVP Queen’s Sailing Team (Nathan Cowan Trophy) 2004-2005 and again in 2005-2006. 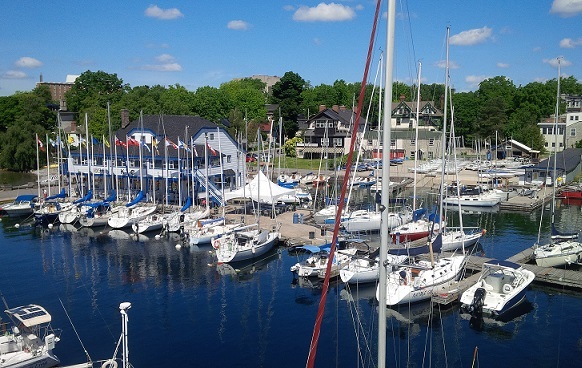 He was also Head Coach at Kingston Yacht Club (KYC). In 2007, he was recognized with the Angus (Bud) Roulstone Leadership Award for his fine work and dedication to coaching. Recently, Corey became an accomplished competitive kite-boarder and he was an avid, skilled alpine skier. He and his wife Bri (nee Bri Howard, daughter of long-time CORK Safety Chief Gary Howard) were actually married atop Kicking Horse Ski Resort. Congratulations to KYC's Robert Davis for being named Sail Canada February Sailor of the Month. Robert just won the 2017 Laser Midwinters East Championships capturing the event win with an 8-point lead ahead of Peru’s Stefano Peschiera. The 50-boat fleet sailed 10 races over the course of 4 days in variable conditions. Davis finished over half of his races in the top three, dominating the leaderboard from start to finish. "I've spent a lot of time training and competing in Clearwater, so I am quite comfortable sailing there," adds Davis. “We saw a good mix of conditions, and I was able to stay consistent over the ten races.” This performance marks Davis’ second midwinters title, placing 1st in 2014 and 2nd to Canadian Olympian Lee Parkhill last year. CORK, with support of some KYC members, are working with a Queen’s Engineering class to design a wind buoy for the Kingston Harbour. There are three groups of students working on their own prototype designs, to be completed by the end of the current winter semester. We can’t guarantee the prototype(s) will be ready for full deployment for this summer, but CORK will retain all ownership rights of the design and equipment, so they can be used in future designs. We hope to build on the students’ work and build this to be a multi-year program with the aim of a permanent solution in the next few years. Eventually we plan to seek alternative forms of funding (grants and sponsorship), but for now we are asking the sailing community to help us give the student program a boost. KYC Corinthian Fund – Help Support KYC’s Developing Athletes! KYC has a record of producing strong sailors who go on to compete on the world stage. The Corinthian Fund exists to help young sailing athletes get to this level, by providing financial support to help with travel and regatta expenses for National, North American and World Championships. Consider adding a donation to the Corinthian Fund to your annual membership payment or make a donation at any time of the year, through the KYC Office. All donations go directly into the Corinthian Fund. Questions? 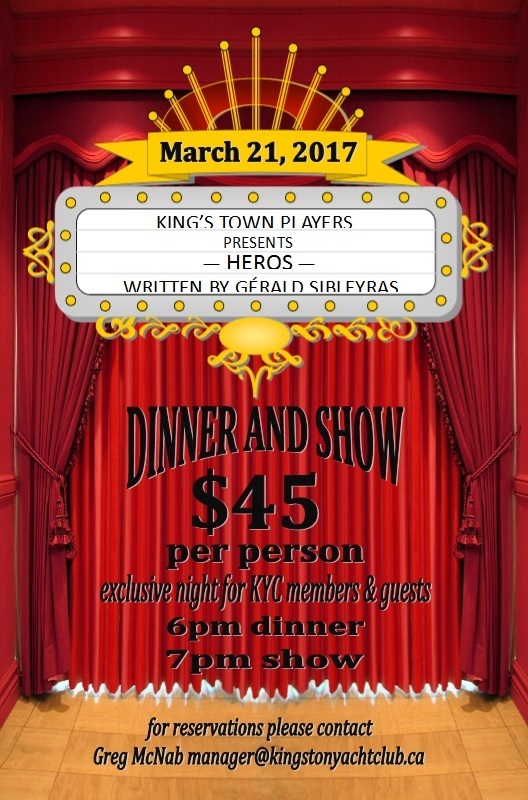 Contact Gord Crothers (gordoncrothers@gmail.com) by email. In 1979, a local Lightning crew qualified for the Pan American Games using a borrowed boat. A new boat was needed in order to compete in the games and members of KYC and the local community rallied together to raise funds. Following their Silver Medal performance at the Pan Am’s the crew sold the boat and returned the $10,000. The funds were placed into a separate account, which became the Corinthian Fund. KYC will be hosting three events this summer and CORK will have it's usual bevy.